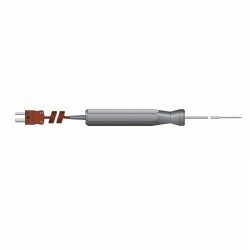 The Therma 1T has temperature range of -100 to 400 °C with a 0.1 °C resolution. Each Therma 1T has a robust ABS case that use Biomaster additive which reduces bacterial growth. The Therma 1T has a large, easy to read, display with open circuit and low battery indication. 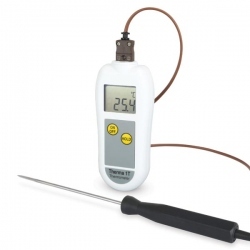 The Thermometers will power off automatically after ten minutes, maximising battery life. This feature can be turned off by the user, if not required.